Are Affordable Dentures A Thing of The Past? Is there such a thing as affordable dentures anymore? It seems as if the cost of dentures and other dental care, like everything else these days, has gone though the roof. Unfortunately, it’s gotten to the point that recent studies have shown that only 7 out of 10 people in the United States have any type of dental plan anymore. However, there is still a way that you can get affordable dentures and other low cost dental care procedures done without having to pay a huge amount of money. First of all, we’re not talking about dental insurance. Let me explain why. Dental insurance is not what it used to be because it does NOT cover pre-existing conditions without a substantial waiting period of 12 months or more. 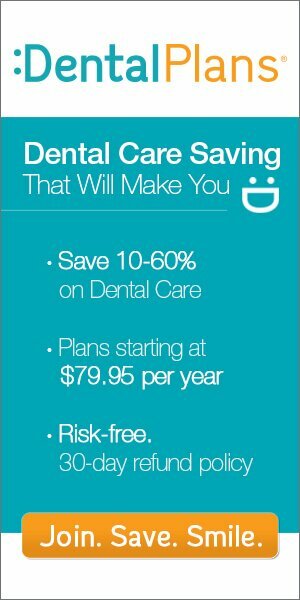 Most dental insurance plans will provide routine maintenance such as cleanings, flouride treatments, x-rays, ect., but if you need any major work done such as a root canal, bridge work, orthodontic braces, dentures or other treatment then you’d better be prepared to pay the full cost out of your own pocket. Also, you still must pay regular premium payments AND you must also pay an annual deductible before the insurance will provide any coverage. Discount Dental Plans Make Dentures Affordable Again! The best way for you to get affordable dentures is by getting what is called a “Discount Dental Plan”. Discount Dental Plans, sometimes also referred to as “Dental Discount Plans”, are not insurance. They are simply a savings plan that offers you substantial discounts off of your dental care in exchange for visiting one of the qualified dentists within the plan’s network and for paying for your procedure in full at the time of the visit. These dentists are fully qualified just like any dentist you’ve ever seen. Your current provider may even be a member without you knowing it. The dentists receive group discounts on things that they need to run their practice by being members. They also don’t have to go through the hassles of waiting for their money or setting up payments plans and then sometimes getting burned. It’s a “win-win” situation for you and for them. You can receive discounts of anywhere between 10-60% on everyday routine dental care. I’ve seen upper dentures discounted as much as 50%! Read This example below of one affordable discount dental plan in the Denver, Colorado area. Save As Much As 10% To 60% On Dentures! The usual cost for upper dentures with this particular plan is $1252 (at the time of this writing), however, with this plan you would only pay $694 for your upper dentures, a savings of $558. The cost of membership for this particular discount plan is $99.95 per year for an individual or $149.95 annually for an entire family (at the time of this writing). This means that if you want to enroll your entire family, then deduct $149.95 from the savings of $558 and you will still come out with a savings of $408.05. Plus, you and your family can still get discounts on anything else that you need to have taken care of for the next twelve months. You could eventually save hundreds or even thousands more and get all of the dental care that you need for you and your family. Find Affordable Dentures In Your Area Today! So if you have been looking for affordable dentures, look no further. Discount dental plans are the way to go. Find a plan and participating dentist in your area Right Now by entering your zip code in the blue box above.